Walk Kansas has started. Teams of 6 people are recording their miles. If each person on the team walks 2.5 miles 5 times a week over 8 weeks they will record enough miles to reach across Kansas which is 423 miles. In addition this program provides 9 wonderful newsletters. 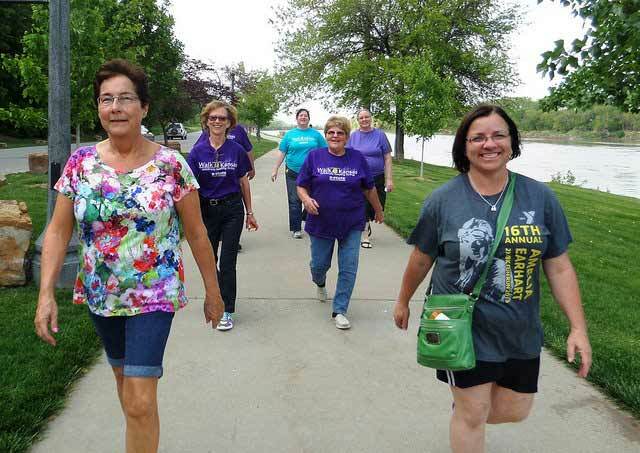 In Harvey we are providing Learn and Energize sessions each Thursday of Walk Kansas. Everyone is welcome to attend these sessions. We have a variety of session leaders who have expertise in the area of exercise, health and wellness. You won’t want to miss this opportunity. Here is the schedule for Learn & Energize Walk Kansas Sessions. March 26 : “Yoga”, 12: 15 to 12: 45 PM. Jessica Cleveland, Instructor. Hesston Wellness Center, 701 S. Main, Hesston . April 2: “Making Healthy Eating Part of Your Total Lifestyle”, 12:15 to 12:45 PM or 5:30 to 6:00 PM. Asbury Park, 200 SW 14th, Lakeside Lounge. Instructor: Valetta Seymour, APRN & Master Food Volunteer. Watch for signs to this location. April 9: “Enjoy healthy food that tastes great!” 12:15 to 12:45 PM or 5:30 to 6:00 PM. Harvey County Courthouse, East Community Room. Instructor: Valetta Seymour, APRN & Master Food Volunteer. April 16: “Benefits of Fitness”, 5:30-6:00 PM, Harvey County Courthouse Community Room. Instructor: John Shaw. Class will focus on overall conditioning with the use of an individual’s body weight, dumbbells & kettlebells to achieve an enhanced metabolism & increased strength. April 23: “Action Plan for Healthy Living”, 12:15 to 12:45 PM or 5:30 to 6:00 PM. Harvey County Courthouse, East Community Room. Presented by Susan Jackson, Family & Consumer Science Agent, K-State Research & Extension, Harvey County. 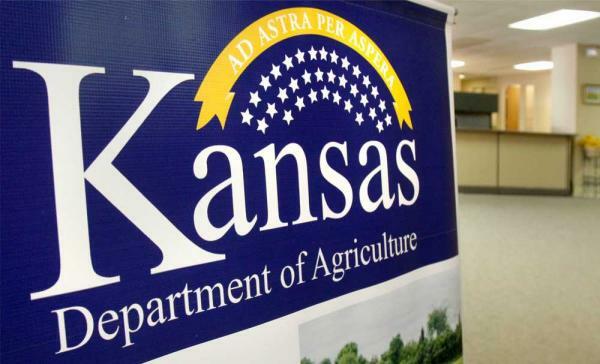 Registered “Walk Kansas” participants only for this session. April 29: Zumba, 5:15 to 6:00 PM. Olivia Lyles Instructor, Newton Rec Center. Come try this exercise for free! May 7: “Fat Buck Meal”, 11:00 AM to 1:30 PM. Harvey County Courthouse West Community Room. “Learn how to balance the fat in your diet”. Pay $3.00 and get “Fat Bucks” to “purchase” your meal. Pre-register by May 4 if you can attend, call the Extension Office, 316-284-6930. Instructors: Master Food Volunteer & Family and Consumer Science Agent Susan Jackson. Registered “Walk Kansas” participants only for this session.